Columbia, SC, December 28, 2017 – Panteao Productions is happy to announce the upcoming release of instructional videos that were originally produced and offered by Paladin Press. With the recent and unfortunate demise of Paladin, many videos titles faced going into limbo and no longer being available to viewers. Starting in January, Panteao will begin re-introducing video titles from instructors like Jeff Cooper, Louis Awerbuck, Jim Cirillo, and more. The videos will be initially available as digital downloads as well as digital streaming from the Panteao website, Make Ready mobile apps, and Make Ready channel on Roku, Amazon Fire TV, and Apple TV. Panteao will also be relaunching three previously published books from Louis Awerbuck and Jim Cirillo’s “Guns, Bullets, and Gunfights” in both paperback and Kindle edition. 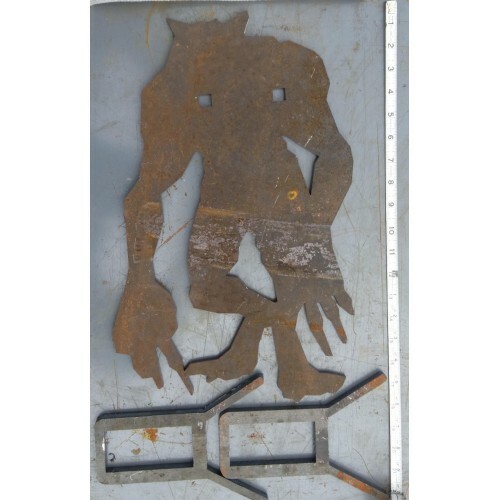 MOA Targets is offering a run of mini Deathcl… er, Wolfman silhouette targets (product code STRIPE). The targets are made of .25″ thick AR400 steel, which makes them perfect for rimfire and service pistol calibers. Customers can also upgrade to .375″ AR500 steel, for use with all pistol calibers and non-magnum rifle rounds. Friendly Fire Rockets are a project on Kickstarter, which consists of foam projectiles, designed in two common sizes, for use in pressurized launchers. There’s a 40mm version for gas powered under-barrel grenade launchers and 1.5″ PVC barrels, and a 50mm version for 2″ barrels. 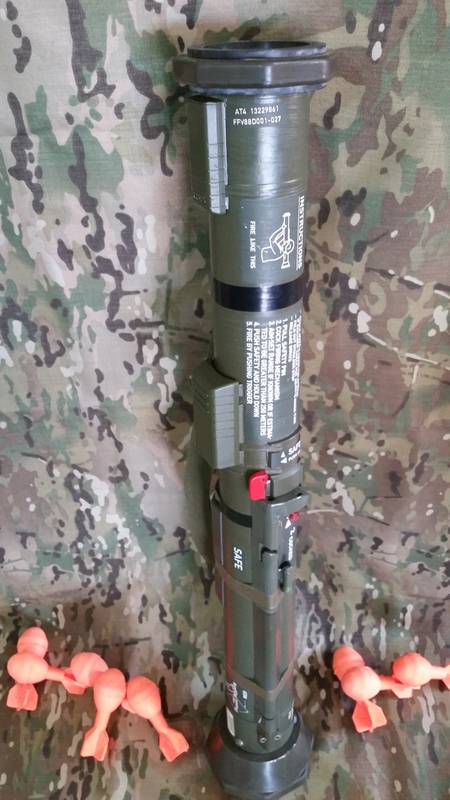 The intent of Friendly Fire Rockets is to provide Military, Law Enforcement, MilSim, Airsoft, and Paintball with a safe and effective method of “disabling” Op-For vehicles and/or buildings. 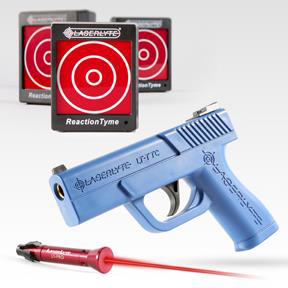 Cottonwood, Ariz. – LaserLyte®, innovators in firearms laser technologies, proudly introduce the seriously fun laser Triple Tyme Kit consisting of the LaserLyte® Reaction Tyme Targets (3), a Trigger Tyme® Compact Training Pistol and a LT-PRO Pistol Laser Trainer. Everything anyone needs to train, teach or just have fun anywhere, anytime. 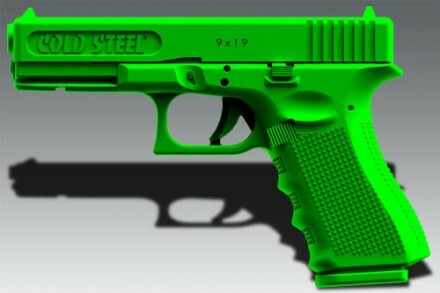 The Trigger Tyme® pistol cannot accept or fire ammunition, making it a safe training tool for all ages and skill sets. The compact size of the pistol is ideal for training young shooters and individuals with small hands. The Reaction Tyme Targets work independently of other allowing for a variety of shooting scenarios. interactive target system works in two modes; reaction and training. The reaction mode features random LED signals in intervals of 3 to 7 seconds that can be shot by the Trigger Tyme® compact pistol or any other LaserLyte® Trainer. The training mode allows the user to practice trigger control and accuracy with an always on and ready-to-be-shot mode. When a hit is made the target sounds 2 beeps and a LED flash. and overall hits with affordable and fun laser training tools. COTTONWOOD, AZ (March 2014) – LaserLyte®, innovators in firearms laser technologies, introduces the latest in the TGL series for the Diamondback™ pistols featuring the LaserLyte® Master Module system. The versatile Master Module fits into the gun’s housing seamlessly; matching the gun’s dust cover and trigger guard with perfect fit. 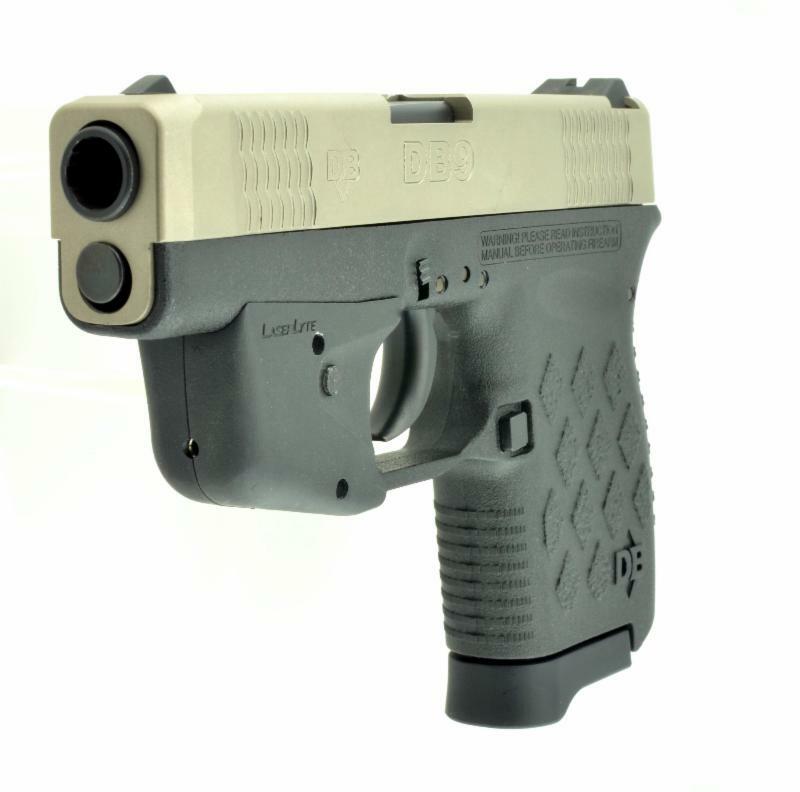 The LaserLyte® TGL UTA-DB Kit fits the Diamondback™ .380 and 9mm models. Each TGL package comes with two housings per model and will fit two guns for the price of just one laser. Simply use a Philips head screw driver to remove the single screw to swap out laser housings. A laser swap can easily be made in under a minute. Initial installation onto the gun will take less than five minutes and the laser does not require removal in order to change out batteries. The LaserLyte® TGL Diamondback Kit Laser gets sport shooters and professionals on the target faster, increasing accuracy and overall hits. For more information, visit www.laserlyte.com. Diamondhead’s Safe-T-Gun is a polymer/composite AR-15 replica with the exact same dimensions as an actual rifle. Its design allows for the installation of actual rifle accessories. This makes it excellent for situations where a real weapon isn’t necessarily required, such as trade shows, product demonstrations, or safety instruction. Components include an upper receiver, lower receiver with buttstock, grip, and magazine, and the Safe-T-Bolt. Made in the USA. Available in Black or Red finish. 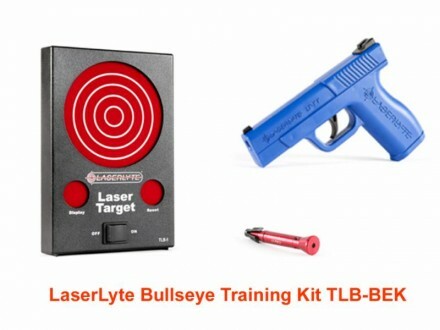 LaserLyte’s unique Bullseye laser training systems offer new shooters the chance to build confidence and control in total safety. COTTONWOOD, AZ (March 2014) – LaserLyte®, innovators in firearms laser technologies, has donated more than $20,000 of retail product to the National Shooting Sports Foundation’s First Shots® program, including the company’s Trigger Tyme™ Pistols, Laser Training Targets and Training Lasers. LaserLyte® is operated by the father-and-son team of Larry and Aaron Moore, both avid target shooters and hunters. The company is known for many firearm laser products, including its Trigger Tyme™ Training Pistol, Laser Trainers and Interactive Targets. 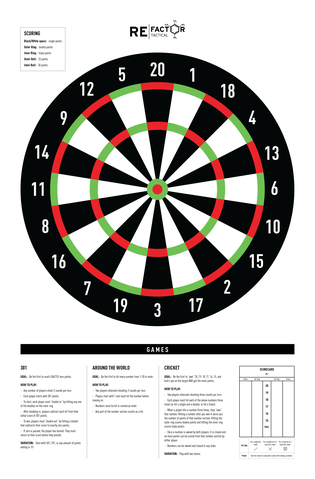 The new Bullseye Training Kit includes all the products mentioned above in theTLB-BEK. This kit will provide important and fun training equipment for both newcomers and experienced target shooters. This new system is in honor of the NSSF’s First Shots® program and a logical next step in the evolution of LaserLyte® training systems. Operated by NSSF member host ranges, First Shots® provides an introduction to target shooting for newcomers and also offers a Second Round component to provide novices with the next step in their introduction to the shooting sports and firearms safety. “This generous donation of laser training equipment from LaserLyte® is a perfect fit for First Shots® and will help participants learn about safe gun handling, trigger pull, target acquisition and other shooting skills,” said Tisma Juett, manager of the First Shots® program. 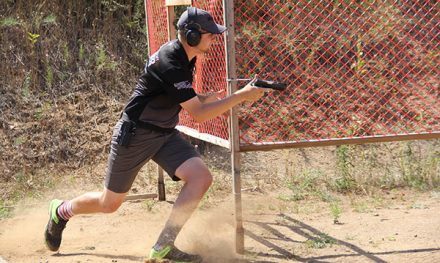 LaserLyte® product packages will be made available to ranges that host First Shots® Second Round events, specifically to help participants learn how to safely draw from a holster and use proper trigger control to put shots on target prior to supervised live-fire exercises. Learn more about LaserLyte® at its website and about First Shots® at www.firstshots.org. New for 2014, Cold Steel has added a series of training firearms to their product offerings. Made from Polypropylene, these training guns are stiff enough to use with drawing and disarming techniques, yet soft enough for hand-to-hand striking situations. 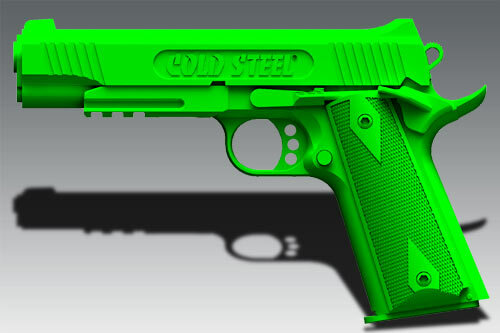 Based on some of the most popular pistols in America, the bright green coloration makes it unlikely these training aids would be mistaken for real firearms. The sequel to Nathaniel Morrison’s ‘Combat Conditioning’ is now available. Building upon the foundations of the first ‘Combat Conditioning’, Volume 2 further details methods to obtain peak fitness and nutrition, including: strength training loads, in-depth exercise descriptions, optimal eating, supplements, and much, much more. 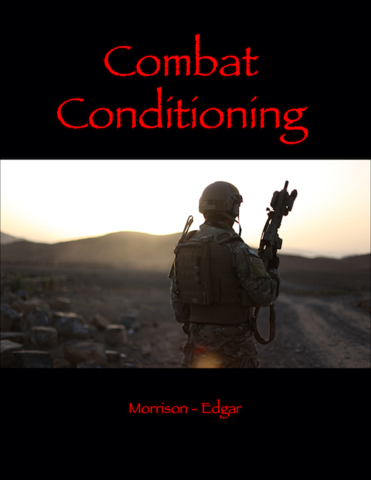 Additionally, included with the price of the e-book is access to worksheets, videos, and the Combat Conditioning membership site. The LaserLyte Laser Plinking Can Set provides hours of entertainment while instilling valuable training skills. 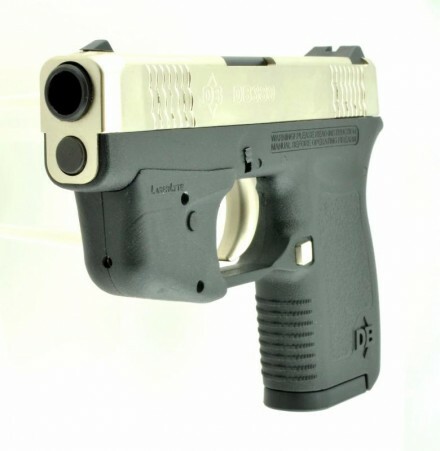 COTTONWOOD, AZ (November 2013) – LaserLyte, innovators in firearms laser technologies, is proud to introduce the innovative and entertaining Laser-Plinking-Can. 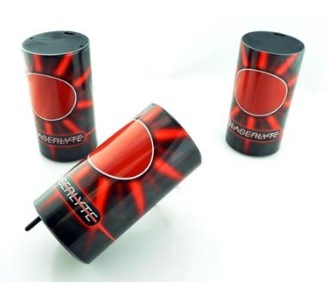 When hit with a laser from any of the LaserLyte training cartridges or other laser trainer tools, the cans react by jumping up and falling over just as a real can would. This reaction is all powered by a 9V battery (included) and a spring loaded plunger released by a solenoid. To reset the cans, simply stand them up and depress the plunger. The LaserLyte Laser Plinker Can gets sport shooters and professionals on the target faster, increasing accuracy and overall hits. For more information visit www.laserlyte.com. 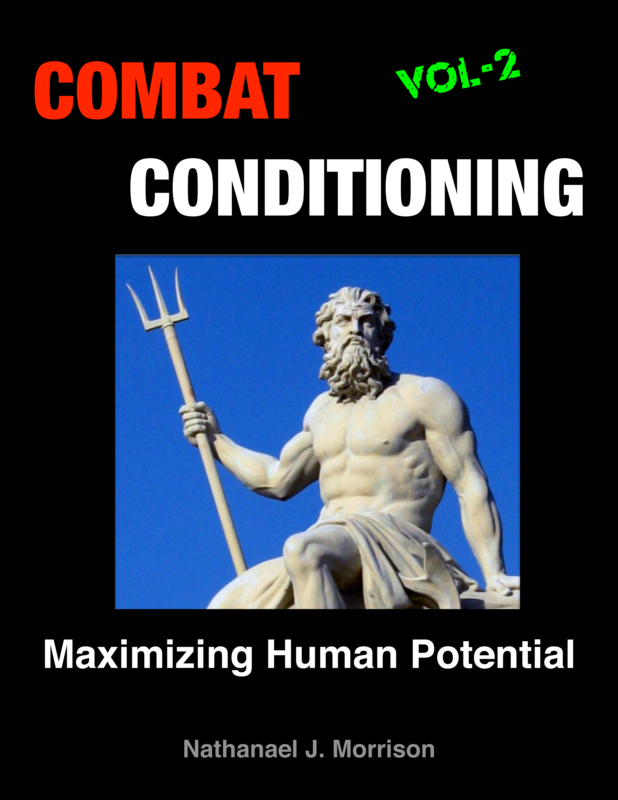 Combat Conditioning, Nathaniel Morrison’s latest fitness training e-book has just been released. Combining the secret of the Spartan’s success with Soviet sport science, Combat Conditioning offers a truly universal training program that works you hard, but is surprisingly simple, and offers amazing results. If you’re looking to improve physical performance and health, boost testosterone, and have your vitality and well being skyrocket, then Combat Conditioning is a program to look into. Jared of Rockwell Tactical Group wrote an article on proper magazine care and maintenance. You can check out the full article at Black Sheep Warrior’s website. The folks at InteliScope, LLC were kind enough to send us a prototype tactical mount and access to their beta app. The tactical mount secures snugly to a standard picatinny rail. Although it wasn’t included, an additional component would allow the mount to be attached to a Nerf N-Strike rail. The mount comes with three cases, sized for an iPhone 4S, iPhone 5, and iPod touch. The cases are made from a hard, lightweight plastic and feature 32 square holes on the back that allow the device to attach to the mount. The InteliScope app allows the device to function like a red dot sight, with an enhanced HUD. Given that the app’s purpose is largely as a training aid, virtually all aspects of the HUD can be changed: the zero, the reticle style and color, ballistics and firearm data, and whether certain elements are even visible on the screen. The app uses the iPhone/iPod’s on board light as a flashlight which can be used with a strobe function. Additional features include a shot timer, the ability to record range sessions to video, up to 5X digital zoom, and even local GPS coordinates and local wind direction and speed. The InteliScope is currently available for iPhone 4S and 5; the Android version will be available in September. For the low, low price of 100 USD (or roughly 10 cents a day), you can receive three (3) years of security contractor job coaching. No prior military experience required, just be: a US citizen, over 18 years old, not female, and criminal record and bankruptcy free. 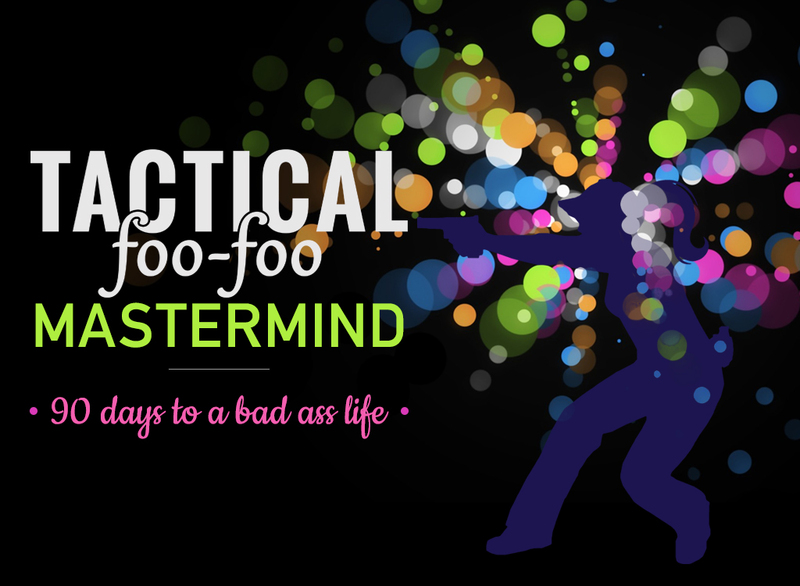 The coaching starts June 1st, so you still have a few days to decide if you’re interested. I attended the Haley Strategic Partners Winter Problem Solver course in Telluride, Colorado from March 31st through April 4th. This was my first time attending a mountaineering/survival course. It was a bright, sunny, early morning when we all met up at the Haley Strategic Partners headquarters for Training Day 1. The day started with an opportunity for introductions, as we all stood in a circle and one-by-one we gave our name, occupation, goals for the class, and one thing we were good at. Students came mostly from all over the States, with one student hailing from Canada. It was great to hear all the various occupations people held (doctor, arborist, software programmer, writer…) and that a few of the students were taking a class like this for the first time, myself included. This also gave us an opportunity to meet our instructors, two Search and Rescue personnel/Sheriff’s Deputies in addition to our host, Travis Haley. 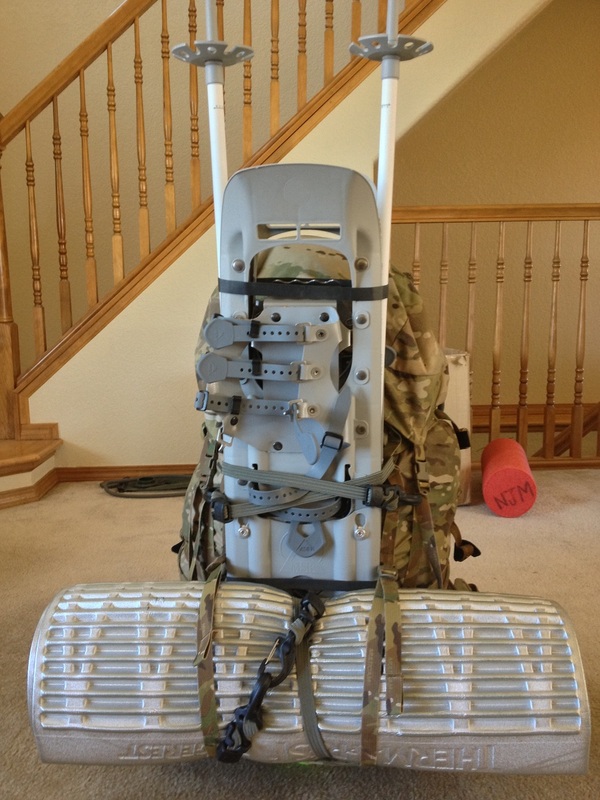 We then stripped our rucks and went over every item to insure we were properly equipped for the class. 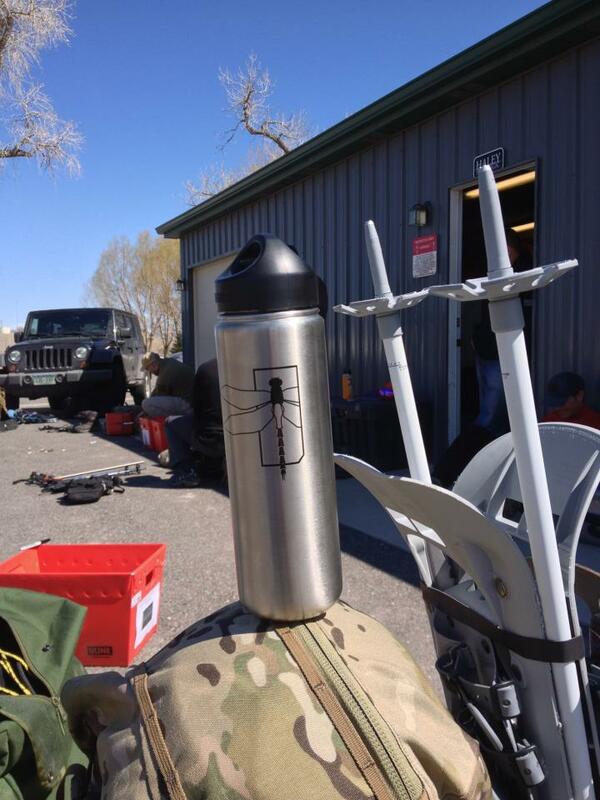 We were also issued a logo’d Klean Kanteen and Moira fixed blade knife (more on these later) as well as additional class items and equipment as needed. After this, we repacked our rucks and stored them for the next day. The calass was also introduced to our beacons and completed a simple exercise to make sure they were functioning properly; this involved us sweeping for a signal at the far end of Travis’ yard that one of the SAR personnel had with them. We stepped out for lunch, and upon our return convened to Travis’ office which was filled with, among other things, memorabilia from his military service. It’s here that we viewed a video presentation on avalanches. This was followed by a PowerPoint on weather identification and a PowerPoint on avalanches, headed by Travis and one of the SAR personnel respectively. As a final exercise for the day we drove out to the hill above the classroom which we climbed as a group. 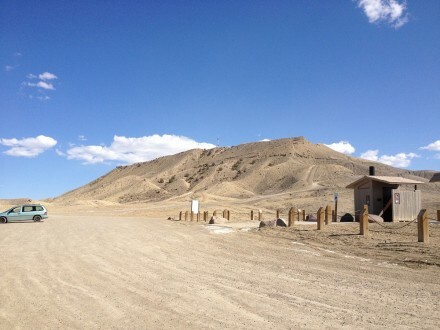 Once at the top, we did a lap around the perimeter of the summit; both exercises served as a test of our general endurance for the trip ahead. Despite being acclimated to the environment, I didn’t find myself ahead of the rest of the group when it came to ascending or running. 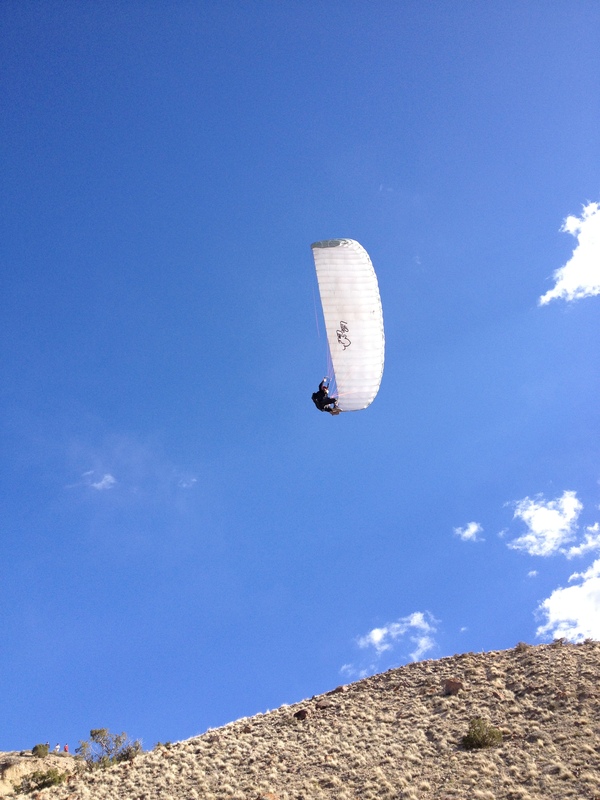 When we descended, Travis, instead of marching down with the rest of us, decided to paraglide down; the below picture doesn’t do the act justice. With the exercise done, we returned to HSP for our final briefing of the day, followed by returning to our respective hotels in wait for TD2. Stay tuned for a continuation of the HSP Winter Problem Solver AAR. 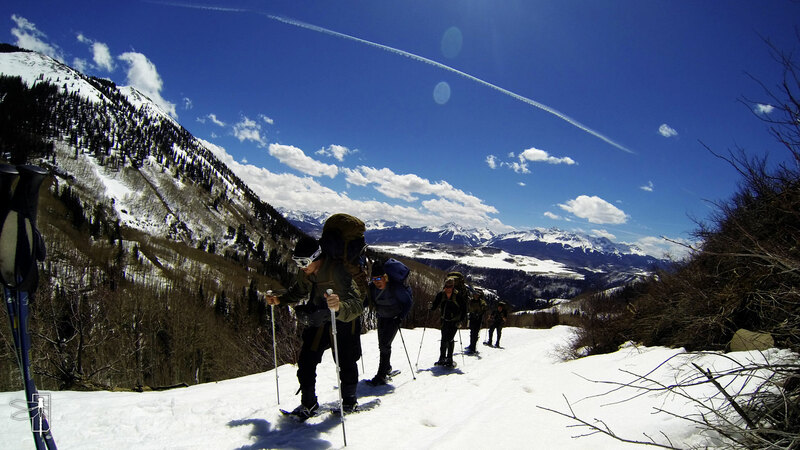 I attended the HSP Winter Problem Solver course in Telluride, Colorado from March 31st through April 4th. This was my first time attending a mountaineering/survival course. To meet these requirements, the entire time I wore the Helly Hansen Dry Fly Pant, Arc’teryx LEAF Combat Pants, and an Arc’teryx Envoy SS shirt; the socks I used were the Darn Tough Vermont Extreme Cold Weather/Mountaineering Sock. The weather, surprisingly, wasn’t that cold with some days reaching highs up to the mid 50s. The addition of an extra layer or two, mostly a Crye Precision WindLiner and/or an Arc’teryx Atom SV Hoodie in MultiCam, proved more than enough clothing wise. The boots I wore were the Salewa Pro Guide Insulated Mountaineering boot, which I supplemented with a pair of OR Crocodile gaiters. Throughout the course, I wore an OR Seattle Sombrero because of its waterproof properties in addition to the wide brim which kept the sunlight out of my eyes, although I did have several other options for head covers, including an Outdoor Research Radiant Beanie, Outdoor Research Novo Watch Cap, Under Armor ColdGear Tactical Hood, The North Face Windstopper High Point Hat, and a black neoprene half-face mask. I also carried a pair of OR PS150 gloves and a pair of Arc’teryx Alpha SV gloves. 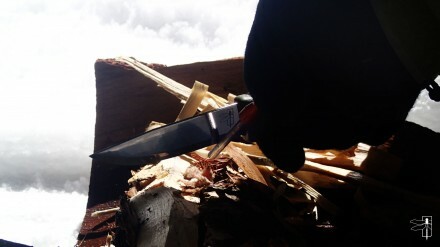 Each member of the class was issued an HSP-branded Mora knife and Klean Kanteen before going out in the field, so although I brought my own knife, multitool, and hydration bladder, these items were ultimately unused and only added weight to my pack. 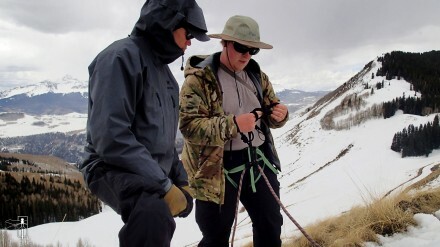 We were issued, if needed, a climbing harness, helmet, shovel*, and ice axe. Mountain meals, rope and tubular nylon, beacons*, probes*, and other class materials were also provided by HSP. I had my own cooking stove, an MSR Reactor, and helmet, a Team Wendy Exfil Tactical Bump Helmet. My snowshoes and poles were both MSR Denali. The sleeping bag was a The North Face 0 degree Dark Star which I used with an REI Minimalist bivy sack. I paired this with a Therm-a-Rest RidgeRest SOLite; being a closed-cell foam pad, it didn’t suffer from deflation or potential puncture damage like an inflatable pad would. I also brought sunscreen, two carabiners, a Tikka 2 headlamp, an ITS Tallboy trauma kit and pouch, and a pair of Smith Cascade Classic Snow Goggles in addition to my personal sunglasses; I ended up not needing the goggles. One thing that wasn’t mentioned on the list but ended up being required was a pair of camp shoes, slippers or other lightweight shoes for moving around a cabin. I just used my socks and changed out to a new pair just before sleeping, although this isn’t suggested. Other miscellaneous items I brought that weren’t on the list included a fire starting kit, snacks, a GSI Fairshare Mug, and toilet paper. All together, my fully-loaded pack, an Arc’teryx Khyber 80 in MultiCam, weighed in at just under 50 lbs, quite a bit heavier than what would be suggested. Unnecessary items included the aforementioned knife, multitool, hydration bladder, and goggles, along with additional hard shell layers, heavyweight base layer, trauma kit w/ pouch, and (arguably) my sleeping pad. Ultimately, given the planned environment, it was better to have these items and not need them than suffer without. It’s also worth mentioning that I didn’t feel at all under prepared with the equipment I brought with me. I did, however, manage to snap my Light My Fire Spork Extra-Medium in half while I was cleaning it; going in with an extra spork, or possibly one made of metal would have been a solid decision. 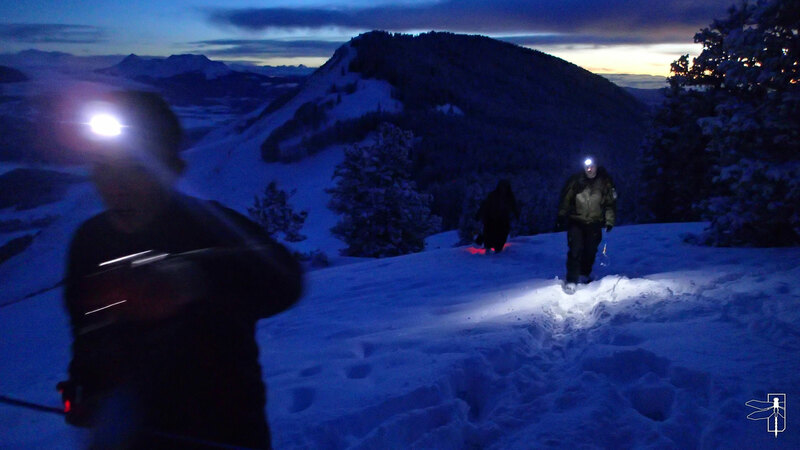 *The beacons, probes, and shovels were graciously provided by Backcountry Access. Stay tuned for more information on the HSP Winter Problem Solver, including a full report on the course proper. Tactical Fanboy is currently attending the Mountain Problem Solver Course offered by Haley Strategic Partners. It teaches skills to increase individual/group survivability in winter mountain worst-case scenarios, delivering knowledge and utility for everyone ranging from outdoor enthusiasts and hunters to military and law enforcement. It’s cold out there. Let’s hope all he gets is this cool bottle. Wish him luck and we look forward to his AAR. I’m all packed up and ready for the HSP Winter Problem Solver Course.